Delivered as a mobile device app, portable USB stick and/or desktop application. Clients can use multiple devices with the same identity. The client is only required to enter their password. The second authentication factor is not visible and is seamless to them. 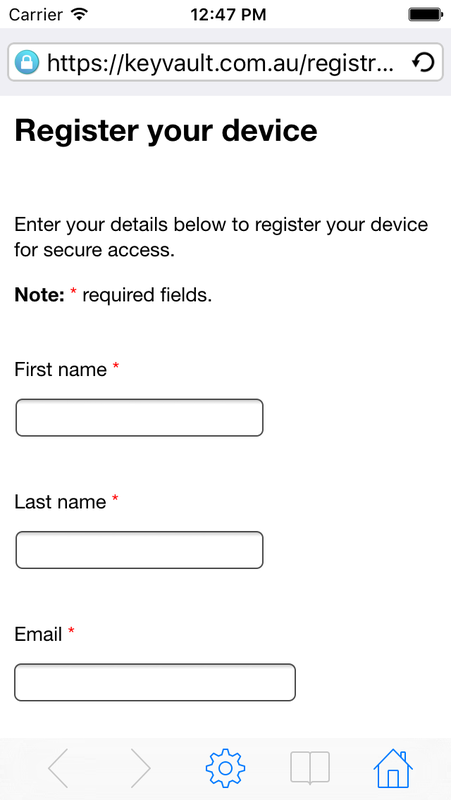 Client self-service for device registrations, password resets and more. All self-service Web pages are fully and easily customisable. Integrated push notifications support, from simple messages to approval requests. 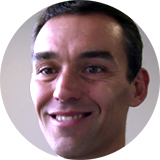 Out of the box, with easy drag and drop form creation, workflow management and signing. Supports Active Directory, SQL Server, Oracle, external CAs, proxy servers and more. Web interface for management of devices and users, and customising deployment settings. KeyVault was originally designed for Internet banking. It is easy for clients to use, but also substantially more secure than alternative two-factor approaches like SMS and One-Time-Password (OTP) codes. Both SMS and OTP have been exploited in real-world Man-In-The-Browser (MITB) attacks. 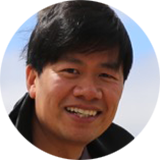 KeyVault uses a secure browser that protects against MITB attacks, and uses cryptographic authentication credentials that cannot be brute-force guessed like SMS or OTP codes. KeyVault is used by one of the major Australian banks to provide online banking services for business clients. KeyVault includes built-in support for secure forms. 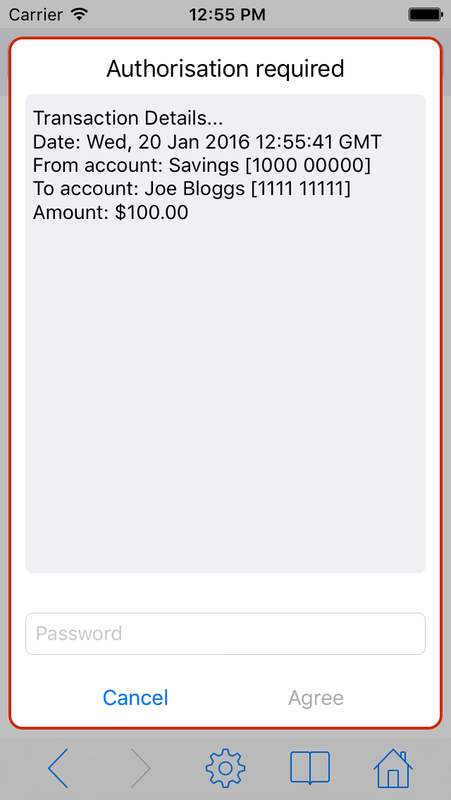 Forms can be easily created and updated using a drag and drop management interface. Full support is provided for digital signing, form field prefill, and flexible workflow options are available including use of push notifications for secondary approval. 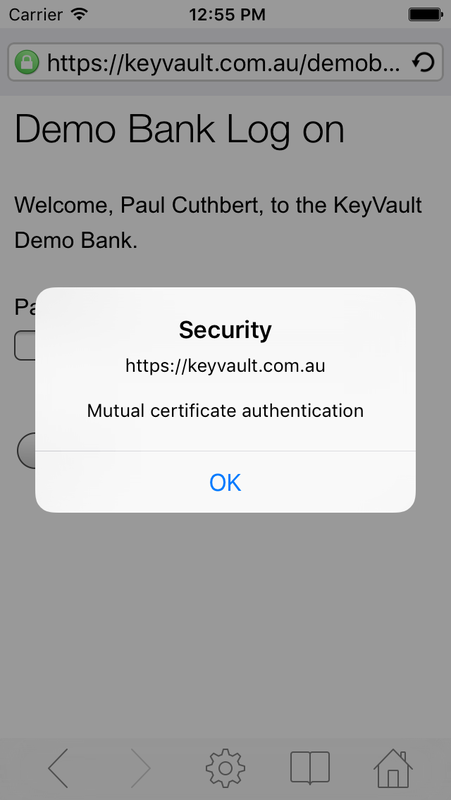 KeyVault technology provides the mobile access solution for the Australian government’s AUSkey credential. AUSkey provides business users with one identity to authenticate to multiple government agencies. Already, over 300,000 businesses are using AUSkey to deal online with any or all of over 20 state and Commonwealth agencies. KeyVault’s ease of use coupled with high security makes it ideal for collaboration between senior executives such as Board members. KeyVault integrates with existing online services including SharePoint, Outlook Web Access, Web forms products and CRM systems. This makes KeyVault easy to deploy to address immediate security concerns. KeyVault clients include the Board members of some of Australia’s largest companies. KeyVault is developed in Australia. Our team carries broad experience in a range of strong authentication technologies. We have been involved in numerous large scale, successful deployments within the Australia Pacific region. Much more than just being another technology provider, our team understands the way authentication devices need to be used. That means we carefully balance usability with security concerns. And we strive to understand our customers and their unique environments well. We only collect personally identifiable information from visitors to our website on a voluntary basis, should a visitor choose to send us an email or request a product evaluation. Personal information collected from voluntary emails and evaluation requests may potentially include name, postal address, email address, company name, company position, telephone number or whatever details the visitor chooses to provide. Our website provides our office addresses and telephone numbers so visitors have a choice of communication methods and do not have to complete the evaluation request form or send an email. If a visitor to our website does email us, the information provided is only used for the purposes of responding to any inquiries. KeyVault will treat any email correspondence from this website in a confidential manner, although we may release any information to law enforcement agencies upon receipt of a duly authorised request. We will retain and store the information content of any email that you send us. We will also retain and store any email reply we may make to you. We monitor email traffic for security reasons including possible email abuse. Personal information received from any visitor will be used only for internal purposes and will not be sold or provided to third parties. KeyVault is not responsible for the content or privacy policies of third party websites, including websites that keyvault.com.au links to.